Short of sounding like a billboard, Thermodrenix has me very, very excited. I was actually contacted by the owner of Blackstone Health Sciences quite a while back and he had the gall (confidence?) to send me their formulation before they even went to market. He wanted my feedback. That may not sound so crazy, except for the fact that its never happened. Normally, diet pill companies only contact me to ask me to take my review down (or at least soften it) which I wont do. And here BHS contacts me because theyre certain Ill like what theyve come up with. The short of it is that I do. A lot. Where is the Thermodrenix Proprietary Blend? Super CitriMax (1,400 mg) – Super CitriMaxs active component is Hydroxycitric Acid, or HCA. Super CitriMax is actually a standardized level of HCA (which comes from the South Asian fruit Gardinia Cambogia). Asia Pac J Clin Nutr. 2007;16(1):25-9. Especially effective when combined with Gymnema sylvestre youll see why thats important in a moment. Diabetes Obes Metab. 2004 May;6(3):171-80. The study was published again here, adding more legitimacy to the study. Green Tea 50% EGCG (1,000 mg) – Green tea is probably our favorite diet pill ingredient. 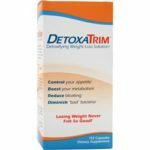 It effectively ingreases the metabolisms burn rate (which means youll be burning more calories and losing weight), has a whole slew of other healthy benefits, and is backed by more research than any other diet pill ingredient available today. Also, please notice that 600 mg of Thermodrenixs green tea is decaffeinated. The other 400 mg of green tea is caffeinated. Thermodrenix is specifically geared toward people that can handle a fairly high dose of caffeine. Probably most notable, Thermodrenix includes 1,000 mg of green tea at 50% EGCG (think of EGCG as its potency). 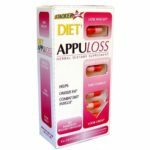 To give you a comparison, most other diet pills weve reviewed have anywhere from 50 mg to 150 mg. The minimum dosage required (based on piles of research) for effectiveness is north of 300 mg.
Thermodrenix has effectively tripled that. I could go on, but the points probably been made. ForsLean – 10% Forskohlin (250 mg) – ForsLean is a patented (see the patent here) ingredient thats been clinically proven to aid in fat lipolysis (burning fat) and retaining muscle mass. While you may not initially think this is such a big deal, it is a big deal! When youre dieting and calories are being burned left and right, its important that you dont lose muscle mass. Not only for health reasons, but also because youll look better as a result. Also, muscle mass requires more calories to maintain. So a more muscular individual will, all else equal, have a higher caloric burn rate, resulting in lower bodyfat. J. Pharmacology and Experim. Therapeutics 244 (1988), pp. 852-858. Gymnema Sylvestre – 25% gymnemic acids (200 mg) – Gymnema is used to help control blood sugar levels. Anciently, people in India would chew a few leaves of Gymnema and it would suppress the taste of sugar (which some use to fight sugar cravings). However, one study from 2005 validated the insulin secretion caused by Gymnema sylvestre: H Asare-Anane, GC Huang, SA Amiel, PM Jones & SJ Persaud (2005) Poster Presentations – Stimulation of insulin secretion by an aqueous extract of Gymnema sylvestre: role of intracellular calcium. Endocrine Abstracts, Volume 10 DP1. BioPerine (5 mg) – Dont balk at the seemingly low amount of BioPerine in Thermodrenix. More isnt needed. Ill include a section of our own review regarding BioPerine. The gist of it is that it aids in absorbing nutrients a critical component that most diet pills dont look at. Asian cultures anciently have used long and black pepper for medicinal/health purposes, but obviously actual research is much more welcome. To that end, this was of particular interest from the Department of Biochemistry and Nutrition, Central Food Technological Research Institute, Mysore, India ((Crit Rev Food Sci Nutr. 2007;47(8):735-48.)). Thats right. Thats one of the things that has me so excited about Thermodrenix. They fully disclose exactly how much of each ingredient is included. Very, very few diet pill companies do this. The main reason behind it is because they dont include enough of those ingredients to cause any weight loss at all (though companies will say its because they dont want to be copied, thats a copout excuse). This section isnt directly related to the product but we look at it when reviewing companies to spot anything shady, underhanded, or consumer unfriendly. 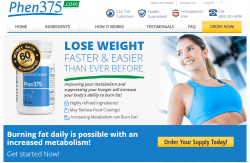 Weve reviewed dozens and dozens of diet pills and not once have we found a site that doesnt include testimonials in some fashion. BHS doesnt include them. 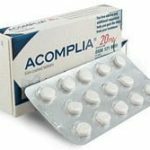 Their reasoning is that most testimonials are fake (we couldnt agree more, remember Nuphedrine and Ephedrine P57 using the same Before & After pictures?) and they want customers focused on the ingredients of the diet pill, not on anecdotal (possibly fabricated) stories. They dont include any Before & After photos for the same reason. What a breath of fresh air. They dont do autoship. We like that. We find autoship (at least the deceptive, trick-the-consumer kind we find where companies offer a free 7-day trial and youre automatically enrolled) to be less-than-consumer friendly 90% of the time. 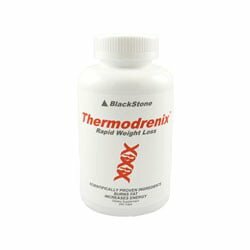 Thermodrenix is definitely not the least expensive diet pill product youll run across. You get significant discounts as you buy more at a time, so thats good. At $69, Thermodrenix is not the cheapest pill we recommend, but as in all walks of life it seems that you get what you pay for. A word should be said here about pricing for diet pills. 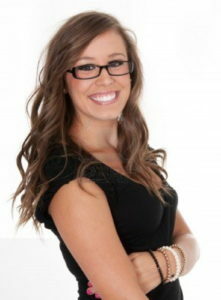 Youll find some costing as little as $25. The key though isnt what it costs nearly as much as what youre getting. With most every diet pill, youre not getting enough ingredients to make even one iota of difference. Now – be careful and dont be duped by some pill thats purposely SUPER expensive (Zantrex-3, those devious people from Basic Research, comes immediately to mind), where their whole focus is to make you think, because of the price point, that you really are getting something thats top quality when youre not. In either case, look at the ingredients and then decide if the price fits your situation. You cant beat it. We like to see anything more than 60 days, so a lifetime guarantee obviously fits the bill, and then some. You are able to return one used bottle and all other unopened bottles. Best in the industry. Were recommending Thermodrenix completely. We love the formulation. We love the fact that every ingredient is clincially backed and they havent included a single fad ingredient (such as Hoodia, that piece of garbage). We love the fact that theyve fully disclosed how much of each ingredient they havent hidden behind a proprietary blend. Were fans of their marketing and lifetime moneyback guarantee. Were giving a very enthusiastic thumbs up. Give Thermodrenix a try and let us know how it works out for you. Were anxious to know.